Looking back on the “March for Our Lives” from this last weekend has allowed a little perspective to the citizens of this country and where we go from here. It is difficult for me to take the March seriously when armed guards surround them. Do they think a bunch of 2nd Amendment acolytes were going to come down, gun blazing. To try and shut them down. Groups only do that the progressives like Antifa and Black Lives Matter. Starting with the CNN Townhall “show trial” and moving forward to how the mainstream media, celebrities, and even corporate entities are reacting to the situation is appalling. The Townhall on CNN was nothing more than a criticism from the foot-stomping temper tantrum throwing children that has been moved by the media to our betters. The feeling of superiority is laughable. Where is the experience that they use for the “demands” that they make? All they have is profanity-laced diatribes against their parents, and any who disagree with them. The progressive socialists target those who speak out against them as being evil and attacked in any way possible to damage their lives and their livelihood. There can be no serious discussion of the situation because the people who disagree with them are evil and these children’s minds and therefore there is no need for rational debate. It is easier to mock gun advocates faith, and the rights that we were given through the Constitution, and do the best they can to denigrate such organizations as the NRA. They do not understand that groups such as the NRA have been around since the late 1800’s. One of the goals of the NRA was to protect blacks recently released from slavery to the entitlement they also have to possess firearms for personal protection. It was the Progressive socialist Democratic party, founders of the KKK; they fought against giving the blacks the right to arm themselves. But the racism displayed by the Democrats then doesn’t matter to the “children” fomenting this attack of our 2nd Amendment rights. All the lies they proclaim about the NRA are pushed 24/7 by the media in an attempt to try and dismiss the power of persuasion of the NRA and other freedom groups that they disagree with. They have to do this because it is the only power they have. There are no valid arguments they can make , so the only recourse they have is to try to make these organization appear evil. Of course, no progressive socialist argument is complete without the opportunity of causing race division. 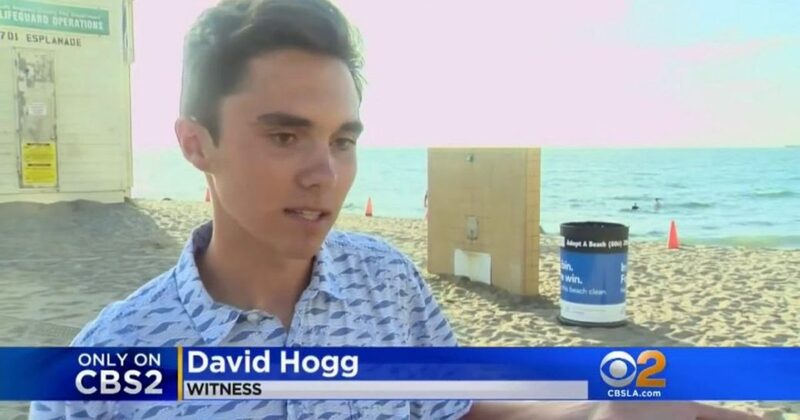 The Argument made by David Hogg proclaimed to the audience at the March. “Sadly, this is what we have to do with our government: our parents don’t know how to use a f***king democracy, so we have to. Another lesson for little Davie- go back to civics class little boy, we are a representative republic, not a democracy. If you had done better in class you would know that. And as for your revolution, there are millions and millions of people in this country who understand what a revolution means. Revolutions are messy affairs, with the death by the millions in some cases, as Russia, China, Cambodia and others have led to nothing but the subjugation of the citizens. Do you really think a little boy like you and your followers could pull that off?Or will you use progressive socialists like Rep. Tom Suozzi (D-NY) to further your aims? He was allowed to condone violence against and was verified in New York Magazine doubled down on his comments. Explain your attitude and the basis for anyone taking what you say seriously. Or the “demands” that you make of companies and people who disagree with you. Many won’t say it, but I will. Who the hell do you think you are What gives you the right to say something as STUPID as all gun owners want to murder children. All I see is a profane, rude, obnoxious little child who throws temper tantrums and thinks he has the power to cause others to follow his demands. Your Hitler Youth propaganda doesn’t even convince most of the people your age. The communist Trotsky type salute at the end of your scripted meandering gave away the cause you follow. Your moral preening is as fetid as you the certainty that you are always right, those who disagree are still wrong and must be destroyed. You obviously have weak practiced excuses about why the only one you attempt to destroy are women- Dana Loesch, Betsy DeVos, and now Laura Ingraham. You think you are smart enough to proclaim what laws we should follow, who we should believe, and everything and everyone sho declare your ability to rule. You want to be an adult, but fall back on being a little child when someone confronts you. The celebrities shower you with praise calling you a leader of this generation, never allowing that you are a very little fish in a big pond. Even you own progressive socialist master will throw you away when you are no longer relevant. And you won’t be relevant for long. You are nothing more than the new shiny object for the Marxist who handle you. Remember even Trotsky proved irrelevant after a while and perhaps you know what happened to him. If not, go back to school and learn something. It is obvious you haven’t learned anything yet. And then there is Edna Chavez, whose brother was killed in Los Angeles who feels our schools need a Department of Restorative Justice instead of police officers. It would be to work on rehabilitation of criminals and have an outlet for discussions between victim and offender. These children do not realize that this was a part of the PROMISE Act that Obama and his contempt of Congress Attorney General already had in place at the school they attended and precipitated the shooting that took place. Total Lack of DisciplineDo Segregation and Integration come Naturally?